Artists Javed Ali, Anup Jalota, Lalitya Munshaw, Ustad Ahmed and Mohammed Hussain performed from the album. Their melodious performance made the evening beautiful and mesmerized the audience. 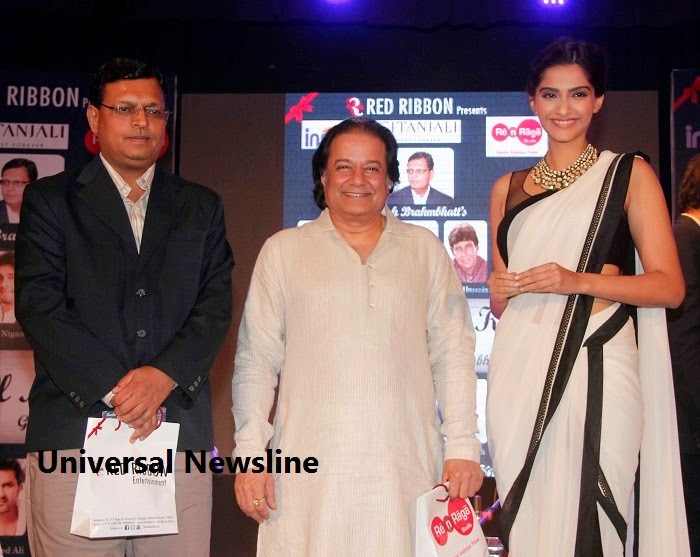 Red Ribbon Managing Director Lalitya Munshaw shared her experience, she said: “The uniqueness of this album is that first time in Indian musical History all the maestros of all genres have sung in one album. I am extremely elated to bring so many maestros together on a common platform. I am hopeful that there are many more to follow from Red Ribbon.” Others present at the event were Anuj from Gitanjali. Red Ribbon as a music production company and Re N Raga as a world class studio has always aimed to preserve the great heritage of Indian Music by producing new works of legendary artists which we have been done through this album”. The audience loved a vibrant video of the making of Music album.